How and Where to Buy Abilify? Our Canadian Dispensing Pharmacy offers Abilify at amazing prices with a valid prescription. Canadian Pharmacy World carries brand and generic medications from Canada and other countries around the world. For more information and further details, please call customer at 1866-485-7979 or email us. Are there Alternative Names for the Brand and Generic Abilify? The brand Abilify comes from Canada manufactured by Bristol-Myers Squibb and the brand from Turkey manufactured by Abdi-Ibrahim Otsuka. 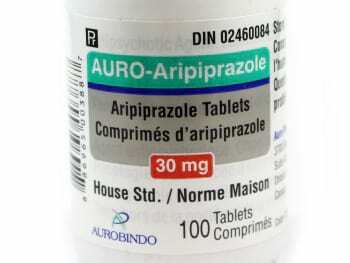 The generic Aripiprazole comes from Canada or India or UK and is manufactured by different manufacturers. The alternative name for the generic Abilify is Arip MT manufactured by Torrent and Arpizol manufactured by Sun Pharma. Our Canadian Pharmacy also carries other Psychiatric medications such as Latuda and Seroquel. What Dosages and Forms is Abilify available in? Abilify is available in the strength of 2mg, 5mg, 10mg, 15mg, 20mg and 30 mg tablets. The Abilify tablets come in different shape and colors for the different dosages. Abilify (Aripiprazole) is an antipsychotic medications that is used for the treatment of certain mental/mood disorders such as bipolar disorder, schizophrenia, Tourette’s disorder and irritability due to an autistic disorder. Aripiprazole works by restoring the balance of certain natural chemicals in the brain. This medication can decrease hallucinations and improve your concentration. It helps you to think more clearly and positively about yourself, feel less nervous and take a more active part in everyday life. Aripiprazole can also treat severe mood swings and decrease how often your get this mood swings. Abilify is also combined with other medications to treat major depressive disorder in adults. What are the Possible Side Effects of Abilify? Are there any Precautions and Drug interactions for Abilify? You should not take Abilify if you are allergic to Aripiprazole or if you have any other allergies. Before you start using this medication, inform your doctor about your medical history and about all the medications you take including OTC and herbal medications. This medication may make you dizzy or drowsy or can cause blurred vision. You should not drive or do any activity that requires alertness or clear vision until you are sure you can perform such activities safely. Avoid alcoholic beverages. This medication may make you sweat less which increases your chances of getting a heat stroke. This medication passes into breast milk. Do not breast-feed while you are using this medication. You should not take this medication during pregnancy. Taking an antipsychotic medication in the last three months of pregnancy may cause problems in the newborn. Abilify tablets should be stored in their original packaging at room temperature away from excess heat and moisture. Do not store your medication in the bathroom.